2N2222A transistors in a TO-92 plastic case. 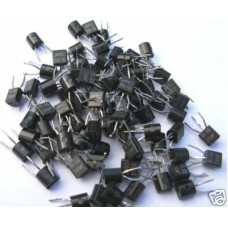 Pack of 25 transistors. Click here for full ..
2N3904 Transistors. TO-92 case. Pack contain 10 transistors. ..
2N3905 low power PNP General Purpose Amplifier transistors in a TO-92 case. 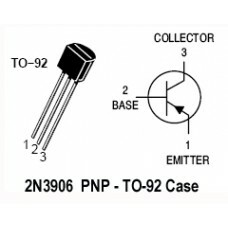 Pack of 2..
2N3906 PNP transistors. TO-92 case. Pack contain 25 transistors Click he..
2N5087 Transistors. TO-92 case. Pack contain 10 transistors. ..
2N5401 Transistors. TO-92 case. Pack contain 5 transistors. ..
2SC5060 Power darlington transistors, 100V 3A. Pack containing 25 Transistors. 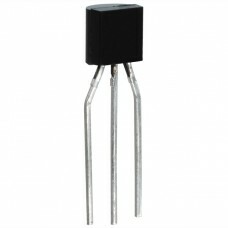 Click here ..
BC327 PNP General Purpose Transistors. 15 Transistors Pack. BC327 transistors, Motorola - TO-92 case. Package containing 15 transistors. 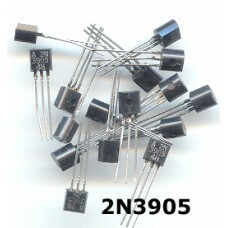 This is..
BC337 NPN Transistors. Pack of 25 transistors. 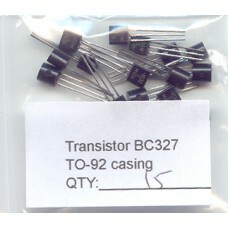 Pack of 25, BC337 NPN Transistors in a TO-92 case. Manufactuerd by Motorola. 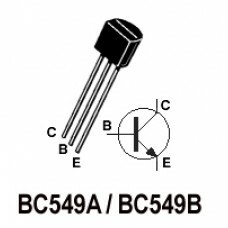 The BC337&nbs..
BC546 NPN Transistors (BC 546 BC546B). Pack of 25 transistors. BC546 (TO-92 case). Pack containing 25 transistors. 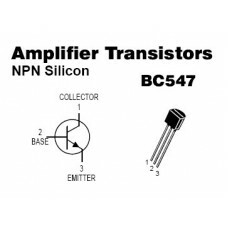 This is a silicon universal..
BC547 small NPN General Purpose Signal Transistor- 25 transistors pack. This..
BC549 NPN Transistors. Pack of 25 Transistors. BC549 Transistors pack (TO-92 case). Pack contianing 25 Transistors. This is a silic..
BC549A Transistors pack (TO-92 case). Pack containing 100 Transistors. 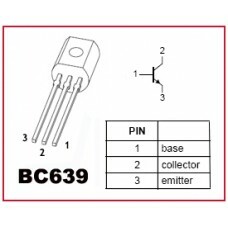 This is ..
BC557 (BC 557 BC557B) PNP Transistors. Pack of 25 Transistors. 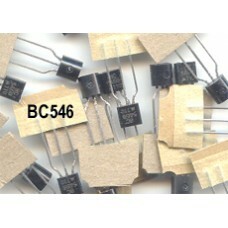 BC557 PNP transistors pack. Manufactured by Micro Electronics. TO-92 case. 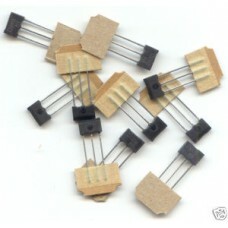 Pack of 25 trans..
BC639 NPN transistors. Pack of 25 Transistors. BC639 Transistors in a TO-92 case. Pack of 25 Transistors. ..